Since I have done a post before called Rings Obsession which you can read HERE , I decided to call this part 2. 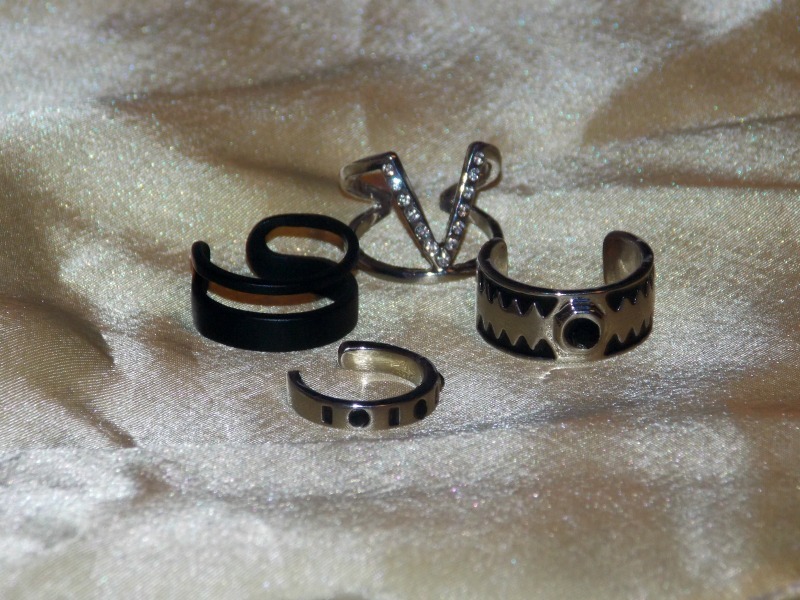 I recently got two sets of rings from Rosegal, and in this post,I'll show you one of them,the second one will be published soon so there will be a part 3 to my rings obsession. My favorite jewelry pieces would definitely be rings! When I saw this set on Rosegal, I knew I needed to have it as soon as possible! I feel like they are so me. In black and silver, I just love this combination. You get four different rings in this set. I really like every single one of them and I cannot wait to wear them. The quality of these rings is good, I hope they won't become rusty in time. I think I will apply colorless nail polish over them so they don't get ugly green-ish color (the tip I found out about on Internet, and I will definitely try it). My rings often become rusty when I wear them a lot and it drives me crazy so I hope this trick with nail polish will help to keep them this way. Thank you all for reading, talk to you soon! 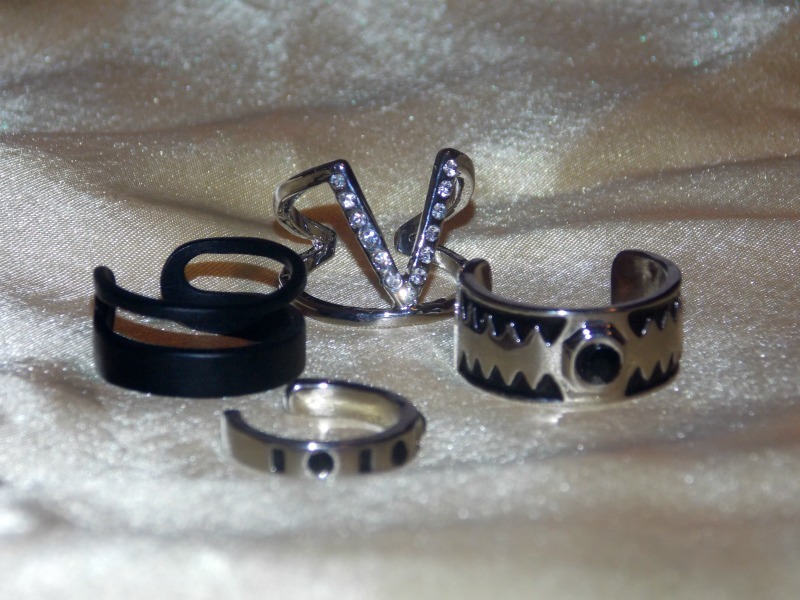 These rings look so nice <3 Great post dear! Ajme, obozavam ovakve setove prstenja! Ovaj set je jako interesantan i stvarno mi se bas dopada. 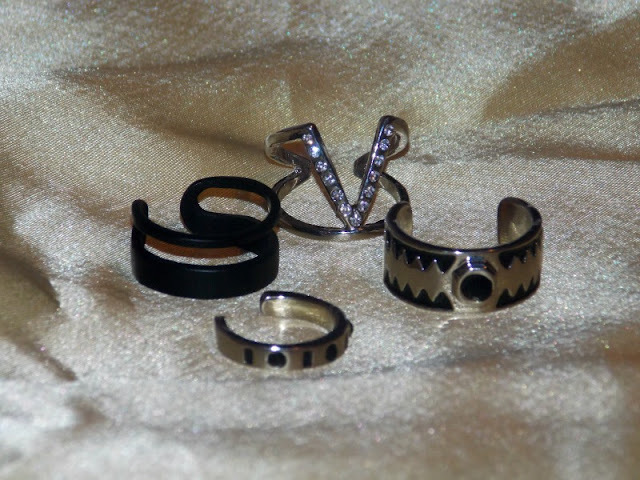 Theses rings are super cute!! I especially like the ring with the little crystals on it in the back.